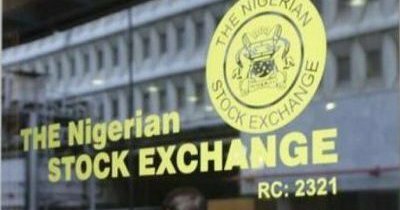 At the end of midweek’s trading on the Nigerian Stock Exchange, the composite All-Share index resisted further decline, closing higher on strong buying sentiment and flat market breadth. Does this signal near or end of the worst performance on the Nigerian Stock Exchange that had suffered almost 30% loss from its peak in January this year? With many listed stocks on NSE recording new 52-week low in recent times after bourse shed almost 5% in the month of November to create more attractive entry points for bargain hunters and discerning investors ahead of year end rally. Investdata research has shown that market performance in the month of December for the last five year has closed in the green with average rally of 2.8%. With the economic data so far released in this last quarter of 2018 looking up to suggest that the festive period had triggered economic activities which is reflecting in November’s Purchasing Managing Index released recently by Central Bank of Nigeria (CBN) at 57.9, up from 56.80 in October. Midweek’s market technicals were positive as volume traded was slightly higher than previous day’s as market breadth remained positive with strong buying pressure as revealed by Investdata’s Daily Sentiment Report, which shows a buy volume of 89% and 11% sell position. The volume index for the day’s total transactions was 0.77. 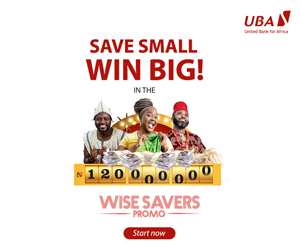 At the end of the session, the NSE-ASI gained 144.43bps, closing at 31,151.68bps after opening at 31,007.25bps, representing 0.47% growth, just as market capitalization climbed N52.73bn up at N11.37tr from an opening value of N11.34tr, representing a 0.47% appreciation in value. The day’s uptrend was impacted by price appreciation in stocks like: Dangote Cement, Dangote Flour, PZ, Flourmill, Oando, Wema Bank, Diamond Bank, Transcorp and FBNH, reducing the Year-to-Date loss to 18.54%. Market capitalization YTD decline reduced to N2.24tr from its opening level in January, representing 16.43% down. Sectorial performance indices were largely bearish, except for the NSE Industrial and Insurance that closed higher, just as market breadth remained positive with advancers outnumbering decliners in the ratio of 19:18. Market activities were up in volume and value by 0.29% and 8.96% as 198.64m shares changed hands for N2.31bn from the previous day’s 198.54m units valued at N2.12bn. Transaction volume was boosted by financial services stocks like: FBNH, Access Bank, Diamond, FCMB and Guaranty Trust Bank. Veritas Kapital and Diamond Bank were the best performing stocks, topping the advancers table, after gaining 10% and 8.97% respectively, closing at N0.22 and N0.83 each on low price attraction and market forces. The decliners’ side was led by CCNN and Transnation-wide Express which lost 9.72% and 9.23% respectively, to close at N16.25 and N0.59 each, on market taking and market forces .